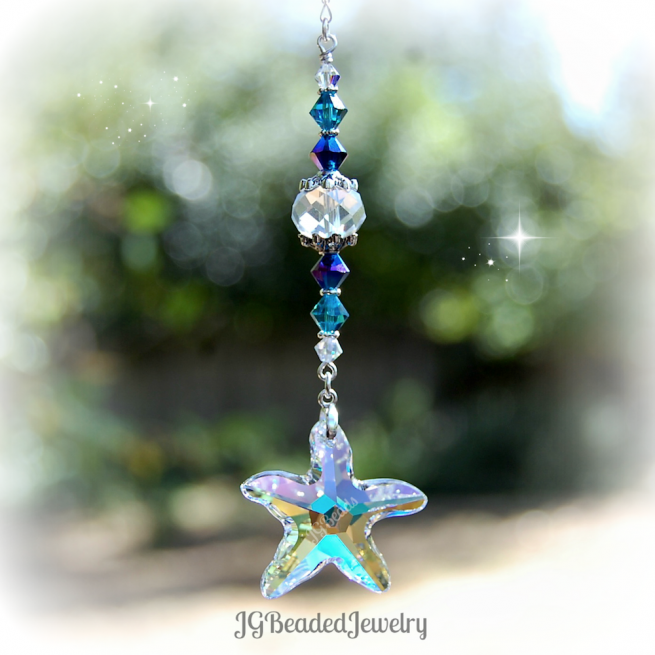 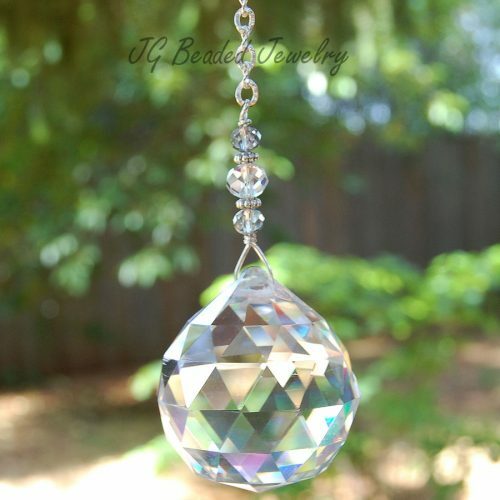 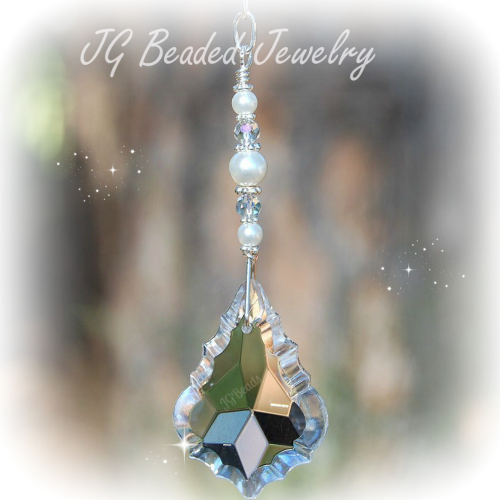 This Swarovski starfish crystal suncatcher can be hung in a window, from the rearview mirror of anywhere you choose! 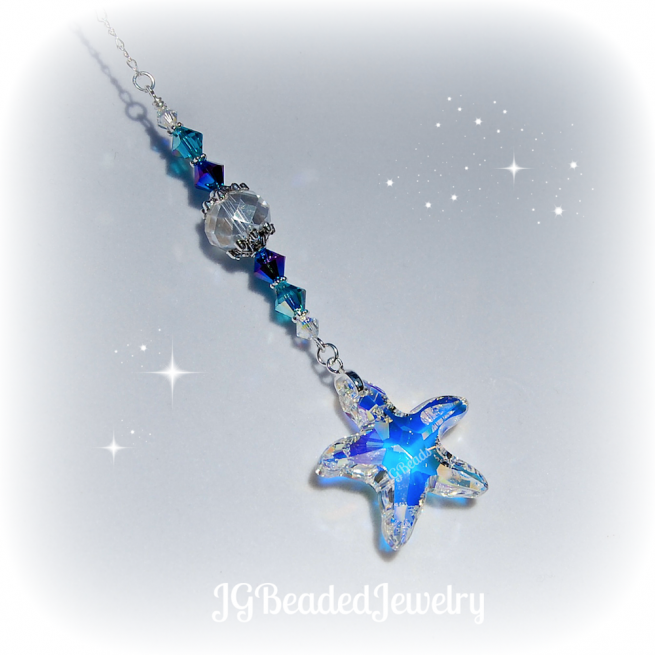 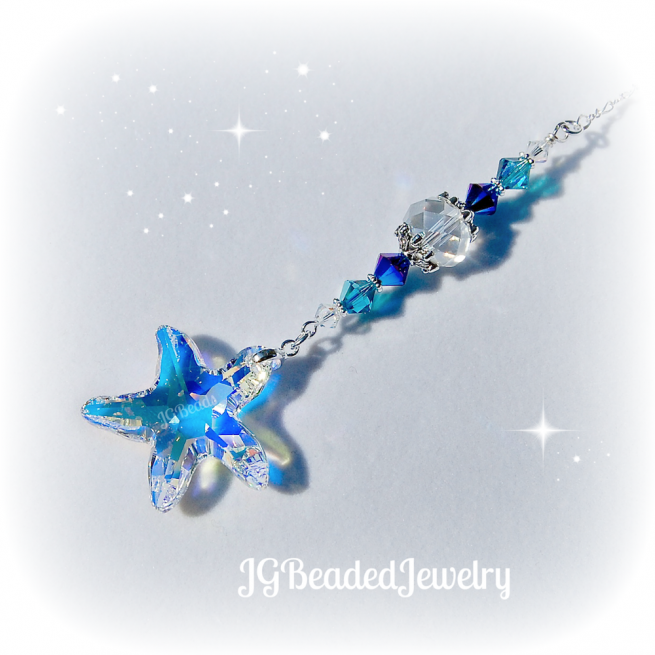 The beautifully faceted starfish measures over one inch and has an iridescent coating on the backside which gives it sparkling flashes of color! 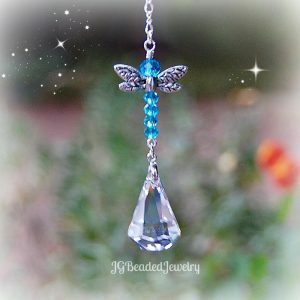 It is embellished with indicolite blue, iris and iridescent Swarovski crystals along with fancy silver metal beads to accent the design! 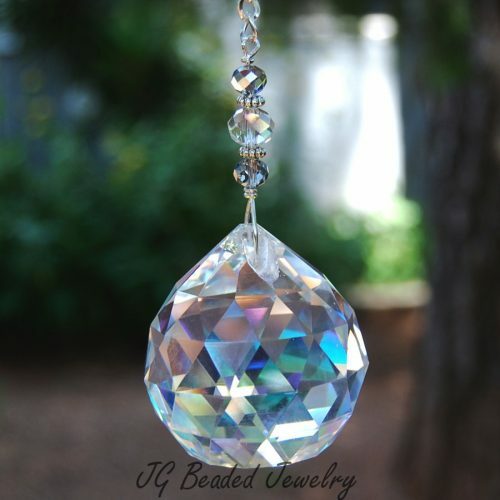 Swarovski is known worldwide for the best precision cut crystals. Custom colors may be available upon request before purchasing by using the contact form!